A stoneware bowl, the steeply sloping sides rising from a short foot and curving inwards slightly at the channelled rim. 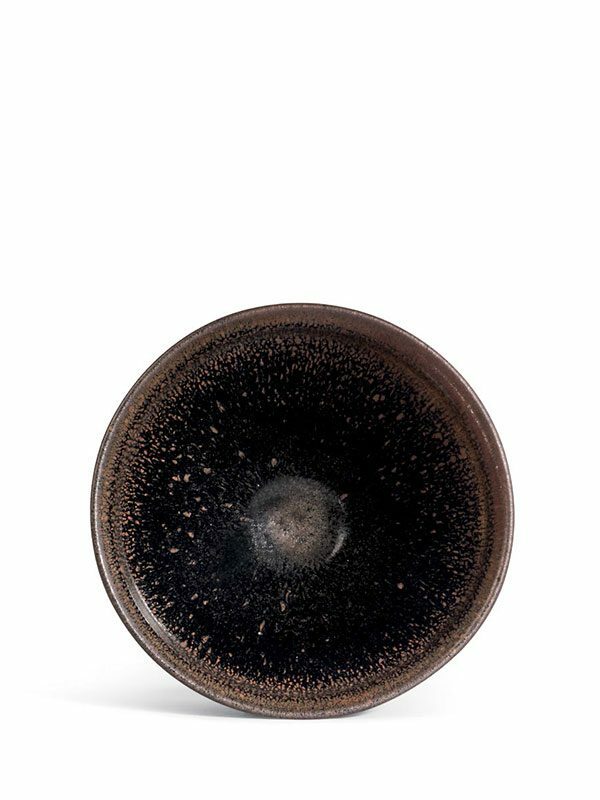 The bowl is covered in several layers of black and dark brown glaze. 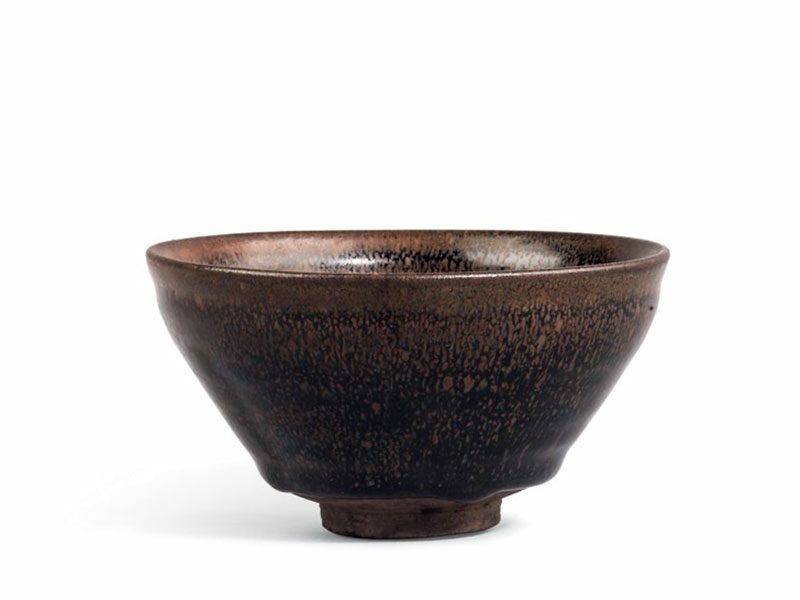 A glossy, lustrous black glaze covers the interior of the bowl and extends over the rim, stopping in an uneven line just short of the foot. A pattern of russet ‘hare’s fur’ streaks extend from the rim towards the interior and exterior of the bowl. The unglazed part of the bowl shows the dense, fine-grained purple-coloured stoneware body.